Privacy matters but it can be confusing. This page explains our approach to privacy and how it affects you. Personal data is any information which identifies you personally. Business details: We require you to provide the name of the business when booking a locksmith to carry out work either at the business location or other locations you may manage, or represent. This includes Business/Place name, address, phone number, website address, email, contact person name. The information you provide is for the purpose of providing our services to you. Correspondence: We may collect additional personal data that you may provide to us if you contact us by email, letter, telephone, through our website or by any other means. If you contact us by telephone, we may also record the call and make notes in relation to your call to comply with our legal obligations and to be able to deal with any dispute or defence of a claim which may arise in the course of us providing our products and services to you. All personal details we may collect when contacting us will be deleted after we complete the work, or resolve any issues you may log with us. Unless there is a dispute as mentioned above, all your information will be deleted when we complete the work you requested from us to do. 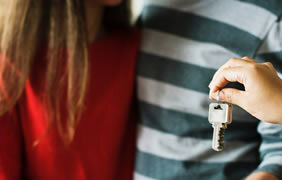 We use the information you give us when booking a locksmith to carry out work for you, and sharing it with our own locksmiths and other self employed or companies who work with us in partnership for the purpose of completing the work you requested. We retain your personal data for no longer than is necessary for the purpose(s) for which it was provided. Such as booking a work to be carries at your home or business address. Cookies are small files which are stored on a user's computer, smartphone or tablet. They are designed to hold a modest amount of data specific to a particular client and website. This allows the server to deliver relevant pages to a particular user, or the page itself can contain some script which is aware of the data in the cookie, so is able to carry information from one page to the next. What cookies are used on this website? We have installed Google Analytics on some or all our pages, this allows us to measure visitors to our website. This facility records how you arrived at our website, what pages you view within our site, and some basic information about your computer. All of that information is anonymous and doesn't have personall idntifiable information – so we don’t know who you are; just that somebody visited our site. The information collected from analytics helps us understand what parts of our sites are doing well, how people arrive at our site and so on. Like most websites, we use this information to improve our website. You can learn more about Google Analytics or opt out if you wish. If you wish to opt out, the only way to browse the website is for us to place a cookie, however you can set your browser settings to not accept cookies from our website. Please note that we can’t control third party cookies stored on your machine from our website such as Google Analytics and setting your cookie preferences with us will not stop those third party cookies from being stored on your machine. 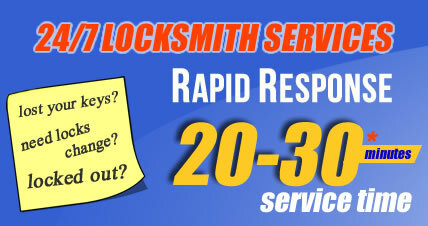 Our Camberwell locksmith is available 24/7 for emergency lockout. This is the privacy notice of Camberwell Locksmith. In this document, "we", "our", or "us" refer to Camberwell Locksmith operated by MAXSERVICES LTD.
We regret that if there are one or more points below with which you are not happy, your only recourse is to not use our services and leave our website immediately. When you contact us by email via out website, buy a product or service from us, or otherwise agree to our terms and conditions, a contract is formed between you and us. We keep your information only if it is necessary. If we have entered into a contract with you and received payment for the goods/services provided, it is necessary to keep your information for up to 7 years to satisfy HMRC tax regulations. If you have given us explicit permission to do so, we may only pass your name and contact information to selected associates who work with us to carry the work you have requested. You may withdraw your consent at any time by instructing us via our online contact us form or by phone. However, if you do so, you may not be able to use our website or our services further. If you send us information in connection with a job application, we may keep it for up to your interview process. When you contact us, whether by telephone, through our website or by e-mail, we collect the data you have given to us in order to reply with the information you need to which we believe you would expect a response. We record your request and our reply in order to increase the efficiency of our company. We do not keep any personally identifiable information associated with your message, such as your name or email address. Some cookies may last for a defined period of time, such as one day or until you close your browser when your session ends. Others last indefinitely. 9.2 auto generated random key sent to our server to validate you are not a robot when sending us a message via the contact us form. 9.3 those cookies do no collect any identifiable personal information. Requests by your web browser to our servers for web pages and other content on our website are not recorded. We therefore do not collect any identifiable information. Accordingly data obtained within the UK is not processed outside the European Union. 12.3 After receiving the request, we will tell you when we expect to provide you with the information no longer than 30 days from you contacting us. When we receive any request to access, edit or delete personal identifiable informationwe may hold about you, we shall first take reasonable steps to verify your identity before taking any action. This is important to safeguard your information. 15.1 We do not sell products or provide services for purchase by children, nor do we market to children. 15.2 If you are under 18, you may use our website only with consent from a parent or guardian. 16.2 If a dispute is not settled then we hope you will agree to attempt to resolve it by engaging in good faith with us in a process of mediation or arbitration. 17.3 to support a claim or defence in court. However, ultimately it is your choice as to whether you wish to use our website and our services, and we urge you to not use our website or services if you do not agree and or not clear about our use of any information set in this policy. Company information and contact details. 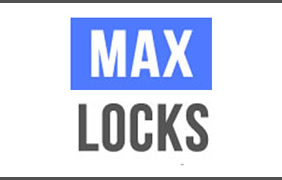 MAXSERVICES LTD manage many local websites for our locksmith in the field, and therefore include this link " Contact information... " for more details and terms & conditions for using our services. * We aim to open the door without the need to change the lock where possible. ** Please note - we are mobile locksmith attending customers at their properties, the address is only an indication of radious coverage. All Logos for products are the property of their respected owners, and are not in any way connected with MAXLOCKS services either by partnership, work related nor owned by either parties, and the logos are only indication of the products we suppy and install for our customers.